The personal representative is required to provide notice to certain people that she has been named personal representative, according to Michigan Compiled Laws section 700.3705. The people who must be notified include the deceased person's heirs, the beneficiaries listed in the will and the trustees of any revocable trusts created by the deceased person, according to the Calhoun County Courts. If there are no heirs, the personal representative must notify the Public Administration Division of the Michigan Attorney General's office. In addition to notifying the heirs and beneficiaries to an estate, a personal representative must also notify the estate's creditors that the deceased person has passed, according to the Calhoun County Courts. 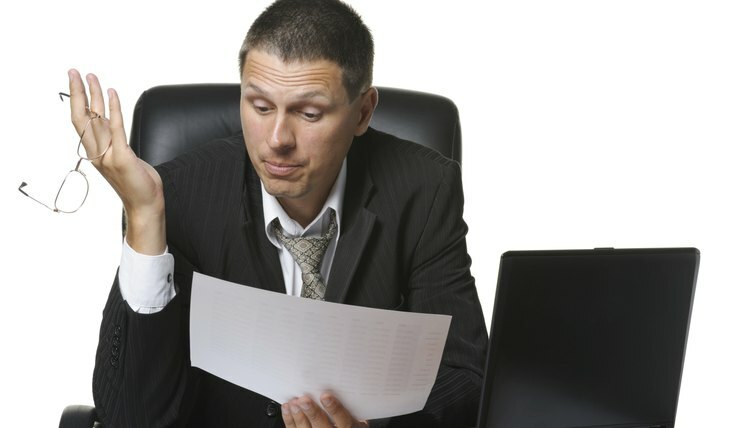 The personal representative must mail notice directly to creditors he actually knows about, and must publish a general notice in a newspaper to alert creditors he does not actually know about, according to Michigan Court Rule 5.306. The personal representative does not have to notify creditors if the estate has no assets. A personal representative serving in Michigan has a duty to inventory the deceased person's estate within 91 days after the death occurs, according to Michigan Compiled Laws section 700.3706. The inventory should include a brief description of each item and an estimate of its fair market value. The personal representative must send a copy of this inventory to each potential heir or beneficiary, as well as to any other interested party that requests it. If the personal representative learns of additional property or learns an entry in the inventory is wrong, she has a duty to create and distribute a supplemental inventory adding the new property or making corrections, according to Michigan Compiled Laws section 700.3708. In order to carry out his duties, a personal representative may take possession of some or all of the property belonging to the estate long enough to pay any debts or carry out the deceased person's wishes with regard to that property, according to Michigan Compiled Laws section 700.3709. The personal representative may leave real estate or tangible personal items in the possession of the person to whom the will leaves them, even if the estate has not yet been closed. Michigan Compiled Laws section 700.3703 requires a personal representative to keep all potential beneficiaries up to date on the steps he takes as personal representative. As long as the estate remains open, the personal representative must provide each beneficiary a summary of his activities at least once per year, as well as when the estate finally closes. Probate is the process of winding up a deceased's financial responsibilities and transferring legal ownership of her property to new owners. An executor, called a personal representative in Florida, is appointed by the probate division of the Circuit Court to stand in for the deceased by paying creditors and taxes and distributing all personal and real property to the heirs named in the will, or as identified by state statute, in the event there is no will. All duties are detailed in Chapter 733, Florida Statutes, including ethical requirements by which the personal representative must abide.